Friend Request has sold over half a million copies in the UK alone since its release in July 2017. It is a Sunday Times top 10 bestseller and a kindle no. 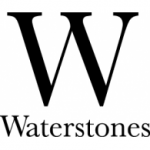 1 bestseller and has sold in a further 20 countries including the USA, France, Germany, Italy and the Netherlands. Maria Weston wants to be friends with you. Louise had always known that when she was at school. But Maria didn’t fit in with the cool crowd, and the rumours that had followed her from her last school made her easy to bully in the summer of 1989. 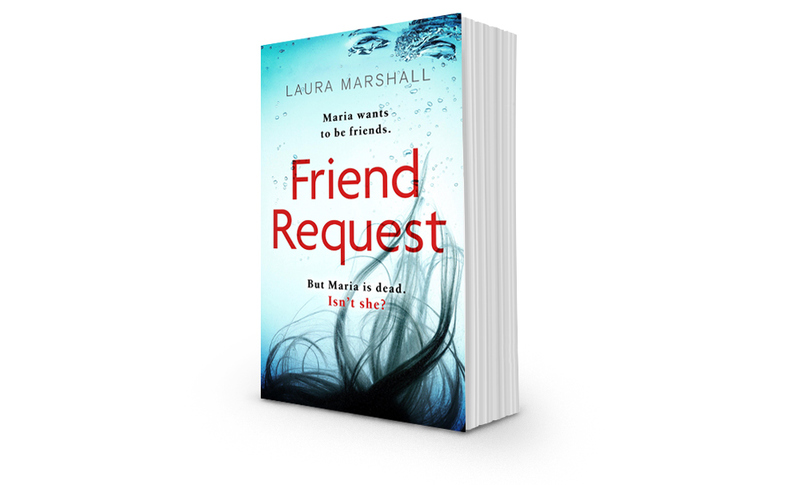 So when Louise receives a Facebook friend request from Maria in 2016, she’s horrified. Because Maria died more than twenty-five years ago. As Louise tries to find out who's behind the request and the chilling messages that follow, she's drawn back to her circle of old school friends; and when a tragic event drags the past into the present, she is forced to figure out who she can trust and to face the guilty memories she thought she'd left behind. Memories that include her own dark secrets – secrets that threaten to destroy her carefully constructed life. Read the first chapter of Friend Request below. The email arrives in my inbox like an unexploded bomb: Maria Weston wants to be friends on Facebook. For a second I miss the Facebook reference, and just see ‘Maria Weston wants to be friends’. Instinctively I slam the laptop shut. It feels as though a sponge has been lodged in my throat, soaking up water, swelling and clogging, leaving me struggling for breath. I attempt to breathe deeply, trying to get myself back under control. Perhaps I was mistaken. I must have been mistaken because this cannot possibly be happening. Slowly I lower myself back into the chair and raise the lid of my laptop. Hands shaking, I go back into the email and this time there is no denying the bald fact of it. Maria Weston wants to be friends with me. It’s been a fairly unremarkable day up until now. Henry is at Sam’s tonight, so I’ve put in a long day working on some initial plans for a client who wants everything from walls to carpets and sofas in varying shades of beige and taupe, but at the same time doesn’t want the house to look boring. When I saw I had an email, I was glad of the distraction, hopeful of a personal message rather than yet another company trying to sell me something. Now though, I’d be grateful for marketing spam, and I long to go back to the mild tedium of a few minutes ago. This must be someone’s idea of a sick joke, surely. But whose? Who could think this funny? Who even knows the effect it would have on me? There’s an easy way out of this, of course. All I have to do is delete the email, go to Facebook and decline the request without looking at the page. A part of me is screaming out to do this, to end it here; but another part of me – a quiet and buried part – wants to see, to know. To understand. So I do it. I click ‘Confirm Request’ and I’m taken straight to her page: Maria Weston’s Facebook page. The profile photo is an old one from a pre-digital age which has obviously been scanned in. Maria, in her green school-uniform blazer, long brown hair blowing in the wind, a small smile playing across her face. I scan the screen, searching for clues, but there is very little information on the page. She doesn’t have any friends listed or photos uploaded other than the profile one. She stares at me dispassionately from behind my computer screen. I’ve not felt her cool gaze for over twenty-five years, not been the recipient of that look, which tells you she’s sizing you up, not in an unpleasant way, but appraising you, understanding more of you than you want the world to know. I wonder if she ever realised what I had done to her. The red brick of the school buildings lurks in the background, familiar in a way but strange too, as if it belongs to someone else’s memories, not mine. Odd, how you spend five years going to the same place every day, and then it’s over, you never go there again. Almost as if it never existed at all. I find I can’t look at her for long, and my eyes roam around the kitchen, wanting something mundane to fix on, a break from this bewildering new reality. I get up and make a coffee, gaining comfort from the ritual of putting the smooth shining pod into the machine, pressing the tip of my finger onto the button in the precise way I always do and warming the milk in the frother. I sit there amidst the trappings of my very comfortable, very middle-class, nearly middle-aged life. The kitchen gadgets and the photo on the fancy fridge of me and Henry on our first holiday alone last summer, a selfie taken by the pool: our skin salty and sun-kissed, a shadow around Henry’s mouth where the dust has stuck to the remnants of his daily ice cream. Outside the French doors, my tiny courtyard garden is wearing its bleak late-autumn clothes, paving stones slick with the earlier freezing rain. Chipped plant pots trail the dead brown remains of my doomed summer attempt at growing my own herbs, and the darkening afternoon sky is a dull sheet of slate grey. I can just see one of the tower blocks that loom here and there like malevolent giants over the rows of Victorian terraces all turned into flats like mine that make up this part of south-east London. This room, this home, this life that I have built up so carefully. This little family, with only two members. If one of us falls, then what is left is not a family at all. What would it take to tear it all down, to bring it tumbling and crashing to the ground? Perhaps not as much as I thought. Maybe just a nudge in the back; a tiny push, so slight that I would hardly feel it. The kitchen with its muted dove-grey walls and bleached wood worktops is warm, uncomfortably so. As the coffee machine hums its everyday tune, I half-listen to the news on the radio, which chatters all day every day in my kitchen: a sporting victory, a cabinet re-shuffle, a fifteen year-old girl who has killed herself after her boyfriend posted naked pictures of her online. I flinch at the thought of it, sympathy for her mixed with a shameful gratitude that there were no camera phones around when I was that age. I move over and open one of the French windows, feeling the need for fresh air but an icy blast slams it shut again. My coffee is ready, and I have no alternative but to sit back down at the laptop, where Maria has been waiting for me: steadily, impenetrably. I force myself to meet her eyes, searching futilely for any hint of what was to happen to her. I try to see the photo as a casual observer might: an ordinary schoolgirl, an old photo that’s been sitting on some mother’s sideboard for years, dusted and replaced weekly. It doesn’t work; I can’t see her like that knowing her fate as I do. Maria Weston wants to be friends with me. Maybe that had been the problem all along; Maria Weston had wanted to be friends with me, but I let her down. She’s been hovering at the edge of my consciousness for all of my adult life, although I’ve been good at keeping her out, just a blurred shadow in the corner of my eye, almost but not quite out of sight.